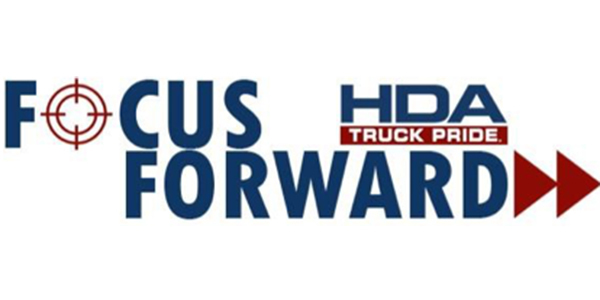 HDA Truck Pride is encouraging the commercial vehicle industry to “Focus Forward,” the theme of its 2019 Annual Shareholders Meeting. This year’s meeting will be held April 10-14 at the Marriott World Center in Orlando, Florida. More than 900 distributors and suppliers will gather to celebrate a strong 2018 and review growth strategies for 2019. Presentations on financials, business intelligence, program management, a reboot of HDATP University and service opportunities will fill the four-day meeting. The 2019 Truck Service Expert of the Year also will be announced and recognized. Doug Lipp, a former trainer for Walt Disney World, will give the keynote address while concentrating on the importance of forward thinking and adapting to change. Approximately 175 suppliers will participate in a combination of three booth shows, highlighting new product announcements and training opportunities; and for the first time ever, taking part in one-on-one meetings. “With our industry facing change from every angle, our theme of ‘Focus Forward’ brings everything to a central point. We want to encourage adaptability, growth and the entrepreneurial spirit that has guided all of our distributors and suppliers to the success they’ve achieved. Together, we’re stronger and our partnerships are more important today than ever before,” said Don Reimondo, president and CEO of HDA Truck Pride.